Aug 12th 2017 Nathan H.
1. The Best Car Paint Protection, Period. Liquid Armour's ceramic glass nano-coating provides a strong, protective surface to the car’s body that can block all manner of foreign matter and prevent them from causing damage to the car. On any given day, a car has to endure a variety of attacks to its body, from accidental scratches to bird droppings, sap, mud, dirt and other contaminants that are an inescapable part of the road. The nano-coating ensures that the original coating of the car is encased in a protective layer that can withstand a great deal of damage without showing any ill-effects on the body of the car. A ceramic paint coating goes much further than an ordinary paint job for protecting the surface of the vehicle. The new coating is fused to the surface of the automobile on a molecular level and is not dislodged by vibrations or external force. Whereas traditional vehicle coatings, such as wax, wear off over time when exposed to the weather, acidic components of the atmosphere and bird droppings, Liquid Armour's nano-coating last for years. The more pitted a surface, the easier it is for dirt to find tiny pockets to sink into. As the name suggest, nano-coating works at the molecular level to ensure that the coating provided is extremely smooth and even. This means that even when the dirt encounters the coating, it finds no place to stick to, and simply rolls off the surface. Because of this, most of the contaminants that your paint will encounter on the road will be unable to stick to the surface of the car and will fall away, leaving the surface in its initial pristine state. Your car is essentially self-cleaning. Getting a car waxed was the older equivalent of getting a special coating for your car to protect its surface. The problem, of course, is that the wax sealant provides less protection, and eventually wears off, which means a fresh coat needs to be reapplied several times a year. On the other hand, a single coating of Liquid Armour ensures that you never need another wax job – ever! It may seem at first glance that having a ceramic coating installed is cost-prohibitive, especially when you look at companies trying to sell it as a "Professional Only Installation" product. But not with Liquid Armour. Sure, you can have a professional apply the product and many do, but a Liquid Armour installation is nearly half the cost of the $1500-$2500 others charge. How? We work with a state of the art manufacturing facility with some of the best chemists in the world and do not over inflate the cost of the product. Let’s face it, $100-$200 for 1oz (30ml) bottle is robbery! Since our professional ceramic coating is essentially permanent if maintained properly, it would require a single application over the average lifetime of vehicle ownership (5 years). If you never need to wax your car again you would save money. 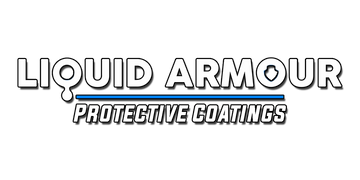 If you invest in Liquid Armour's premium ceramic coating kit for your car, you would save $1500 over 5 years, compared to quarterly waxing, and $1000+ from having it professionally installed.